A unique guest house located in the heart of the Roseau Valley, about 10 minute drive from the capital city Roseau, right on the road to Trafalgar Falls and close to Morne Trois Pitons National Park with its superb waterfalls, lakes and hiking trails. Perched high in the mountains, Cocoa Cottage is a home to stay for hikers and seekers who want to be close to nature. 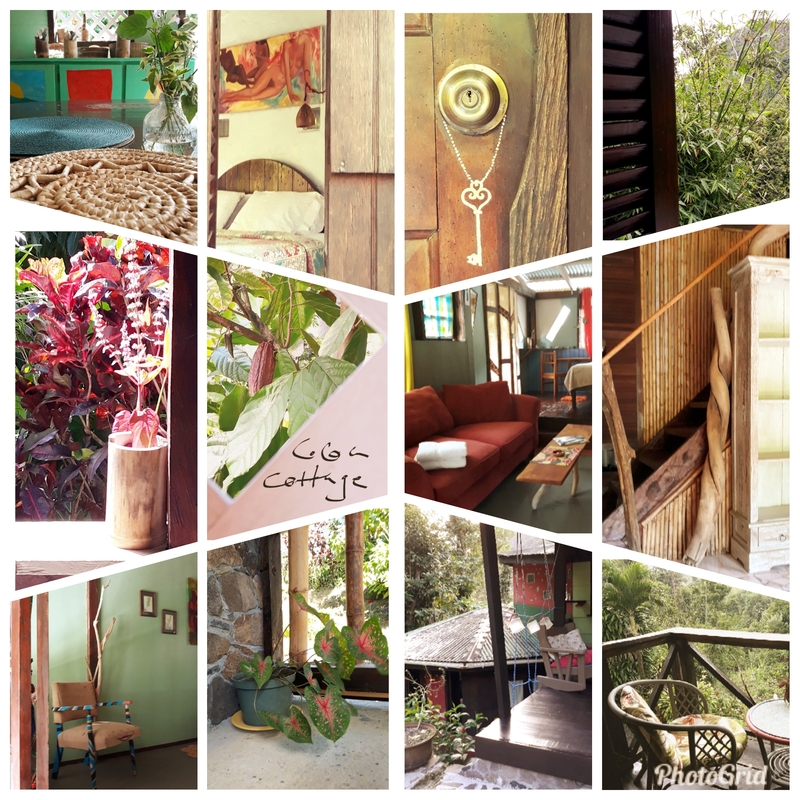 Cocoa Cottage is a patchwork of artistic design and colorful arrangements, an expression hidden in the details to create harmonious flow. We offer simple, comfortable artistically decorated rooms organically integrated with the surroundings. It mostly happens around the kitchen table, a mix of flavors, colors, a blend of aromas, shared experiences, people, adventures, spicy conversations, a meeting of souls, sprinkled with inspiration. “Thanks very much for the extraordinary trip. It was almost painful to leave, actually. Dominica kind of gets in your blood, you know? The environment, the people– all good. I started missing it the second I stepped out of your courtyard”.